The products in this Craft Beer & Cheese Gift Box have been carefully selected by Highland Fayre to delight any craft beer enthusiast. The Blonde beer is brewed in a small distillery in St Andrews and has plenty of hoppy personality and a unique fruity taste. 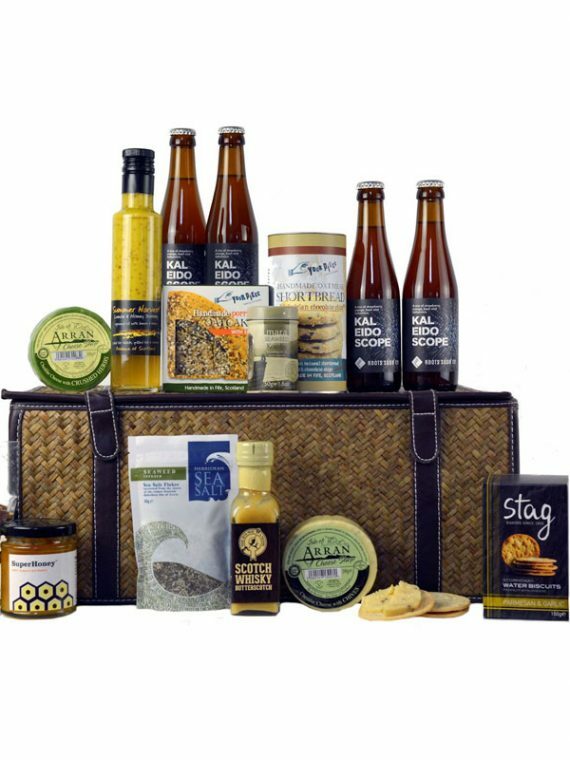 Chutney, water biscuits, truffle oil and Scottish Cheddar cheese perfectly complement the beer and make this a unique Artisan hamper. This Small Hamper gives you a Selection Box of 9 coffee bags. there is 1 of each of our 6 standard blends, Award Winning Home Blend, Emirates Blend, Iberian Blend, FairTrade Colombian ‘Pure’, Rainforest Alliance Red Blend and White Blend – Decaf. There are also 3 delicious flavoured coffees, Salted caramel, Vanilla and Hazelnut. In its self this Selection Box hits the spot! We have then added a small Gift Tin containing 10 coffee bags. 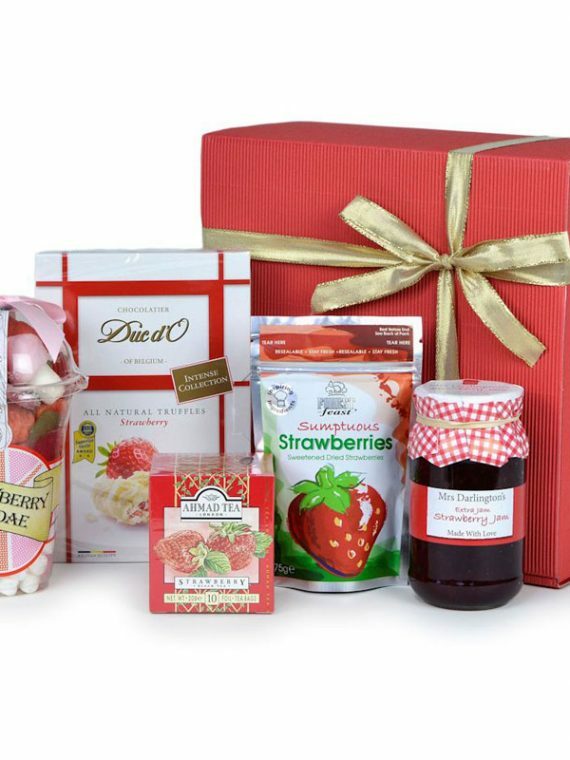 Simply select the blend you would like in your Gift Tin, and it will be added to your Hamper.